Are you looking to noticeably improve the quality and life of your teeth and gums? At Karingal Drive Dental we are passionate about ensuring that our patient’s teeth are in the best position to withstand daily use. By conducting thorough and comprehensive cleaning of all the surfaces of the teeth to prevent the build-up of plaque, bacteria, tartar, and damaging gum diseases. Thanks to our focus on outstanding dental cleaning and oral hygiene, Frankston patients can trust us to ensure that their teeth stay bright and shiny. 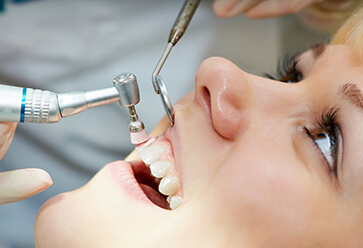 By trusting our hands-on approach to conducting dental cleaning patients in the Langwarrin, Seaford, and Skye areas can enjoy having their teeth in the best condition. Perfect as a complement to daily brushing and flossing dental cleaning effectively removes built up bacteria and plaque that can develop into gingivitis and damaging cavities. While toothbrushes and dental floss to a lot to remove surface level bacteria brushing is not able to effectively clean between teeth. To learn more about our focused and effective dental cleaning solutions Frankston patients and residents from surrounding suburbs can contact our team today.